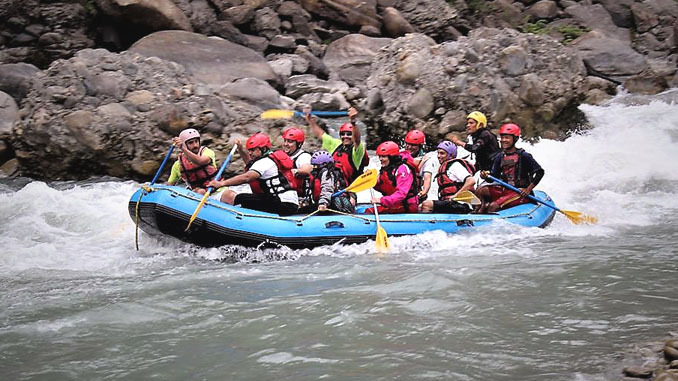 Pokhara—Trekking Agencies’ Association of Nepal (TAAN) Western Regional Association Pokhara organized a river rafting program in Upper Kali Gandaki on Saturday. The one day rafting happened from Pharse of Jaljala Rural Municipality of Parvat to Nayapul of Kusma Municipality of same district and is a part of TAAN Silver Jubilee celebration was promoted by Nepal Tourism Board. Raging River Runner Pvt. Ltd supported raft boats and all the accessories in the program that was joined by 50 persons including tourism entrepreneurs, journalists and social workers, informed TAAN WRA Pokhara Chairman Deepak Raj Adhikari. According to TAAN WRA Pokhara Secretary Sushil Raj Poudel, exploration of adventure activities and the promotion of Upper Kali Gandaki region were some of the key motives of the event. 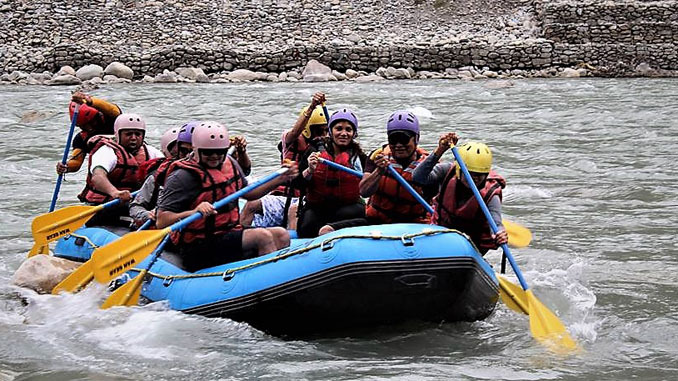 Raging River Runner Managing Director Milan Tiwari said that the company has various packages of rafting for domestic and foreign enthusiastics. Kali Gandaki is the holy river of 3-4 class rapid. Generally, the journey begins from Maldhunga or Nayapul and ends at Kali Gandaki Dam. It roughly takes 3 hours drive from Pokhara to Maldhunga and four hours from dam to Pokhara. 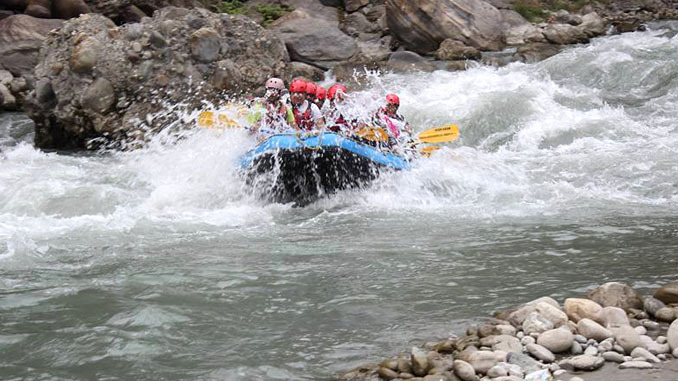 So, the rafting in Kali Gandaki is full of fun and challenging that could be experienced from October to mid December and March to early May. Paddling and safety instructions are given early to kicking off. Mountains, temples, villages, jungle, suspension bridges, wildlife, gorges and greenery in the lap of the nature are some of the attractions along the paddling side. Beach camping after fighting with big and bouncy water rapids could be the unforgettable experience.